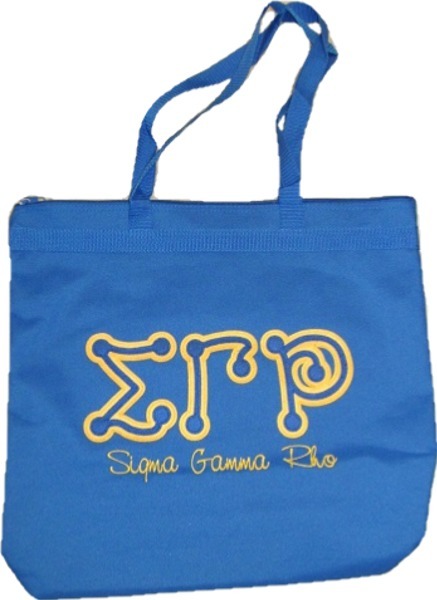 These distinct bags feature beautiful, stitched-on twill letters and embroidered sorority name. They zip close and have a small zippered pocket inside. They measure 18" side x 16 tall" x 6" deep so they have plenty of space to carry plenty of 'whatever'. Carry your sorority items to meetings, or papers that need grading home at night, or clothes for a quick getaway!